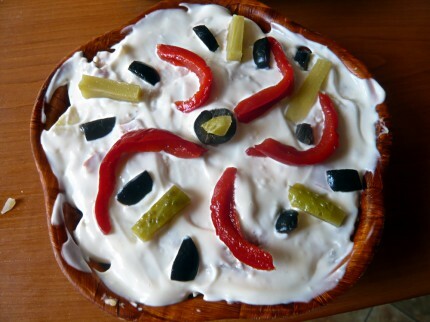 Salata Boeuf, or Salata de Boeuf, is a typical Romanian dish, a potato salad served as appetizer at festive dinners, especially during winter time. Why winter time? 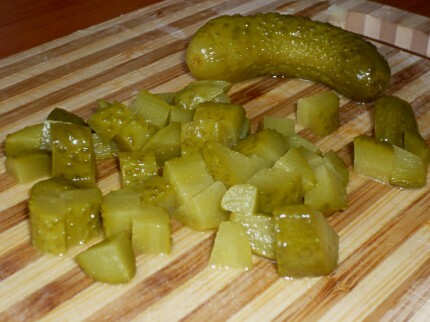 Well, because that’s the time when people have pickles in their pantries and because the Boeuf Salad calls for lots of pickles such as gherkins and red bell peppers. As “boeuf” is the French for “beef”, you’d be tempted to think this is a French recipe. I thought so, too. 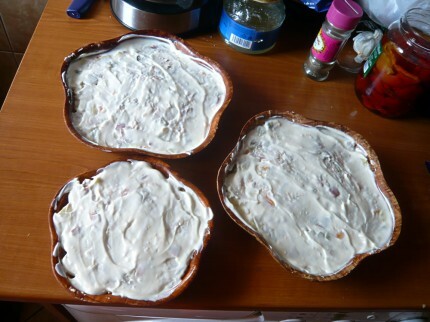 However, it seems the recipe has Russian origins: it’s similar to the Olivier Salad, which is Russian. 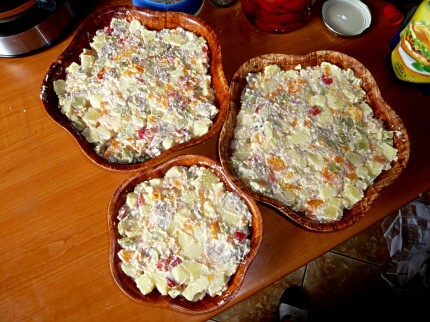 This is my Romanian potato salad recipe, a classic that can’t go wrong. 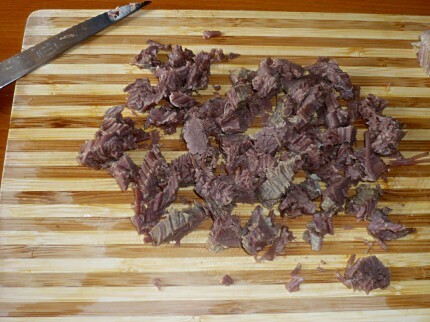 Take about one pound beef meat and wash it. Since we are going to use the pressure cooker, you can buy cheaper cuts of beef such as brisket, because it’s going to end up tender anyway. Cook the food for 20 minutes. 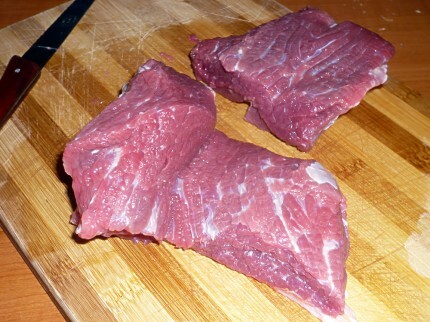 Turn off the heat, wait until all steam is gone, then remove the lid and check to see if the beef is cooked. The vegetables will be cooked for sure. If the beef is tender, you’re done. 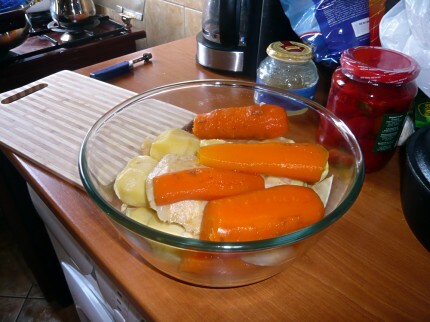 If not, take the vegetables out of the pressure cooker, put the lid back on and keep on cooking for 30 minutes more. In another pot, boil 4-5 medium size potatoes. 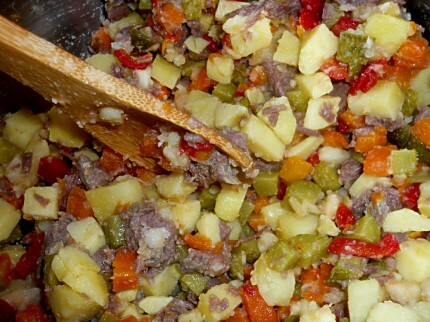 If you want, you can add the potatoes into the pressure cooker with the other ingredients. Be aware that if you do so, they will end up overcooked and you may not be very happy about that. I’m not, so I boil them separately. 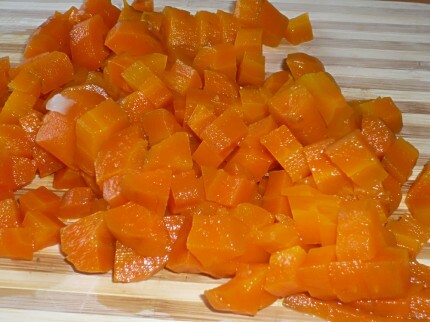 After you boil all vegetables, let them cool before you chop them. 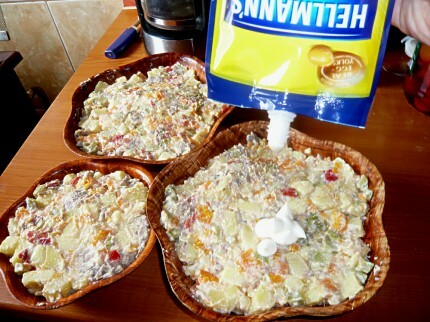 If you want, you can put them in the fridge and finish the salad in a few hours or even the next day. 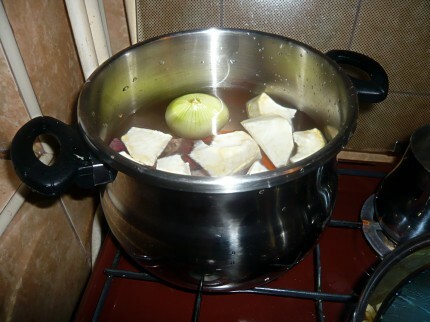 Anyway, retain the beef broth for other meals. I, for instance, used it for my French onion soup recipe and for the mushrooms quesadilla recipe. Dice the carrots, parsnip and celery root. 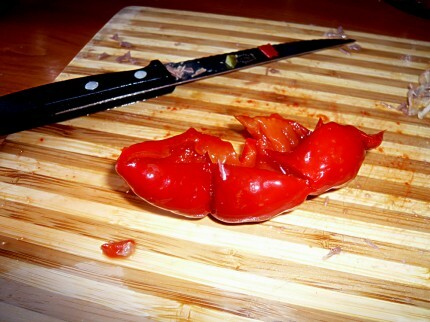 Chop 3-4 pickled red bell pepper halves. Mix everything in a very large pot. Add salt and pepper according to your taste. Optionally you can add two tablespoons of mustard. Add about 1/2 pound mayonnaise and mix well. 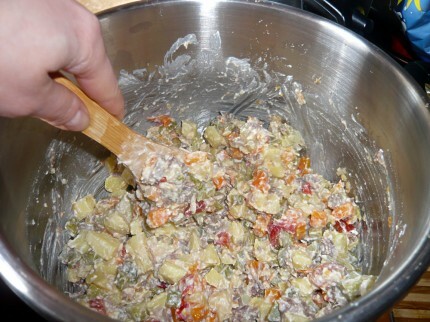 Spoon the potato salad mixture into bowls. If you prepare this for a festive dinner with more than 4 guests, it’s a good idea to split it into a few bowls, in order to make it easier to reach for everybody at the table. Pour some mayonnaise on top of each potato salad bowl. 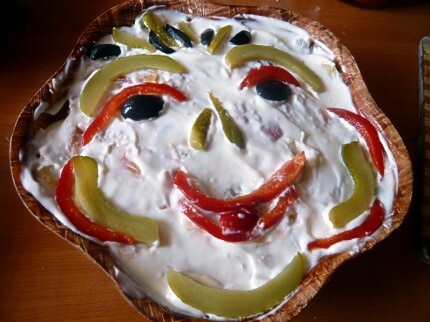 Spread the mayonnaise onto the salad surface as if you were painting a wall. You can use a spoon, fork or knife to do that. 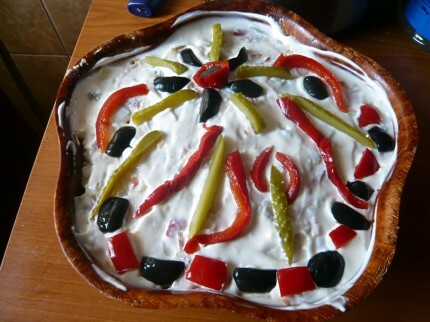 Chill the salads in the fridge for at least one hour before serving.